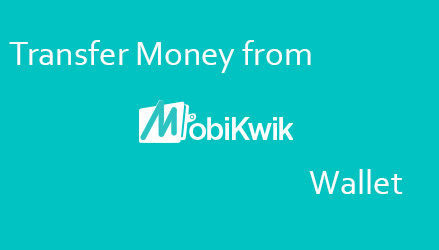 Mobikwik Wallet is a prepaid wallet with which you can easily recharge, pay bills and buy products. But when it comes to Transfer Money from Mobikwik Wallet most of the users are unaware about it, but below steps will help you to know how to Transfer Money from Mobikwik Wallet to others or friends Mobikwik Wallet. To be able to transfer money from Mobikwik Wallet to others or friends Mobikwik Wallet you will have to first download the app Mobikwik on your mobile device as there is no option to transfer money from Mobikwik Wallet by visiting the site. You can download the Mobikwik App for your smartphone by clicking here, Mobikwik App is available for Android, iOS and Windows Phone so you can download it accordingly by following the link to download the Mobikwik App. After you download and Install Mobikwik App on your phone just open the app and sign in into your account by entering your Mobikwik login credentials. Once you are logged in to your Mobikwik Account from the home screen just navigate to My Account > Transfer Money. In Transfer Money you will find Send Money just tap on Send Money and enter the recipient Mobile Number or Email id and below enter the amount and tap on send button. In the next screen you will be prompted to enter the OTP (One Time Password) Code which will be sent on your Mobikwik account registered mobile number so to confirm the transaction you will have to enter the OTP Code. And once you enter the OTP Code the transfer will get successfully initiated and the recipient will get notified to login into Mobikwik App to accept the payment and once the recipient accepts the transaction the OTP will be sent to recipient Mobikwik registered account mobile number and after entering the OTP the amount will get reflected into Mobikwik Wallet of the recipient. 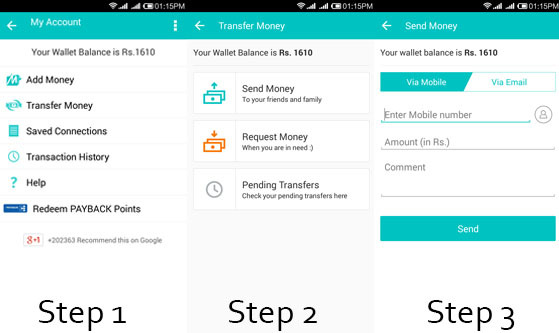 This is how you can easily transfer money from Mobikwik Wallet. As of now Mobikwik is only having option to transfer money within Mobikwik Wallets and not transfer money from Mobikwik wallet to bank account, but whenever the option to transfer money from Mobikwik wallet to bank account gets available we will update you. You can’t transfer wallet balance from Mobikwik to Paytm.